"Already at an early age I started to improvise on the kantele"
Timo Väänänen from Finland is a multi-faceted, multi artistic musician and masters both traditional and modern types of the Finnish kantele. He performs as a soloist and in different ensembles, such as Suunta, Mitrej, Ontrei, Subsonic, Taith and Miroir. He graduated in 2008 as a Doctor of Music at the Sibelius Academy in Helsinki, Finland's only music academy, studying with the prominent Martti Pokela, a Finnish folk musician, composer and professor. He started the academy's folk music education and he was named a full professor in 1980. Pokela was famous for merging traditional Finnish folk music with contemporary sound. Thanks to Martti Pokela there have been strong developments in the music of kantele in Finland in the 1950s and 1960s. Education for playing the kantele in Finland started in schools and music institutes up to conservatories and the Sibelius Academy. Even some artistic doctoral studies have been carried out at the Sibelius Academy, researching traditional, western classical and electronic music. Timmo Väänänen (born in 1970 in Mikkeli in eastern Finland), is a part-time teacher at the Sibelius Academy, and speaks 4 languages (besides Finnish): Swedish, English, German and Esperanto. He was chosen Young Artist of the Year in 1997. Timo Väänänen can best be described as a multi-artistic kantele player, who integrates different kinds of art in his music, for instance theatre, dance, graphics and other artistic elements. The kantele is said to be Finland's national instrument, but Timo Väänänen has done research on the different types of the kantele in different countries, too. He concludes that the instrument is much older than any of those countries. Timo: "The kantele, which in my opinion is a meditative instrument, is a very old, multi-ethnic instrument. I don't feel that the ancient forms of this instrument belong to any country at all. The different types of kanteles are just instruments from this area." Timo Väänänen continues: "The kantele belongs actually to the zither group, and I have studied a lot on improvising with the instrument. I started studying the kantele at 8, and for 8 years I was a member of a group of kantele players, I was the only boy there. We studied kantele with a regional well-known kantele and folk player, called Elli Sonkkanen. I also studied the piano, but with the kantele it was different, there was much room for improvisation so I could find out and make my own music. I learned to play to kantele by ear, without notation. At 18 I went to the famous Sibelius Academy in Helsinki. To study at the Sibelius Academy, like I did, you have to be talented, but also very lucky, because they don't have many student places." "Studying at the Sibelius Academy was just heaven"
Timo continues: "The atmosphere at the academy was fantastic, it was just heaven for a musician who is interested in many styles and multi-artistic work. We also performed very much with dance and theatre and learned about visual arts, too. Another element which was unique, was the fact that at the Sibelius Academy you can study folk music on an academic level, both for kantele and other instruments. I studied with the famous composer, kantele player and professor Martti Pokela. That was very impressive. Actually, we had an amazing time together. He has been very important for the development of folk music and kantele playing, but in the first lesson, in 1989, when I met him he said, to my surprise: I am fed up with folk music, we are going to play contemporary music. That was a logical continuation of what I had learned before. We also worked a lot by ear, without notation. He was passionate about the kantele, but didn't want folk music any longer. He wanted to create something new. Later I wrote a book with the compositions we had made, for future generations. For me he was a role model of an artist, he was not just a musician, he was free, he was able to create his own musical world." "At the same time I studied folk music with Toivo Alaspää, also a self-taught kantele player. He was a famous folk player, he came from Ostrobothnia, a region where they have a strong kantele tradition. It was wonderful to study with him, because he also created his own musical universe. It was like going back 100 years in time with him. He could play old tunes and even if he could play some new tunes, his style was old. He was a truck driver who, much to his own surprise, was appointed kantele teacher at the Sibelius Academy. During my studies with him I learned a lot of traditional tuines and I also recorded one CD with him." In recent years Timo Väänänen has been making new music with the unique modern electric kantele, which has a solid wooden body, instead of a sound box. It incorporates a built-in microphone and is played on a matching futuristic table. He has released some 20 albums with different ensembles, and three solo CDs (Musiikkia - Music - 2005; Matka - Voyage - in 2001 and Viileri in 1998; and in Spring a fourth CD will be released entitled Soitanda). Timo Väänänen has toured extensively in over twenty countries in Europe, the USA and Asia. He was a featured soloist in the Walt Disney film 'The Chronicles of Narnia: The Lion, the Witch and the Wardrobe' in 2005. He performed the kantele concerto by Gillian Stevens with the Mikkeli String Orchestra in 2009. Väänänen is a part-time lecturer at the Sibelius Academy Folk Music Department in Helsinki. Duo Mitrej: Päivi Järvinen & Timo Väänänen. Fokus is a live dance and music performance for a video camera. Performers are Päivi Järvinen, dance and Timo Väänänen, kantele and lyre. Timo Väänänen is well-known for his explorations on sound effects and live looping systems on the kantele. 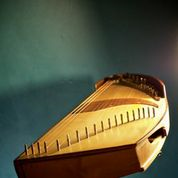 A kantele is a traditional plucked string instrument of the zither family. Its relatives can be found throughout the world, including Estonian kannel, Mari kärš, Russian gusli, Latvian kokle, and Lithuanian kanklès. 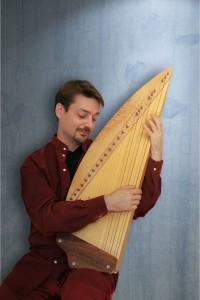 Kantele is also similar to the ancient Asian instruments such as Chinese gu zheng and the Japanese koto. Timo Väänänen has developed a multidisciplinary method for his artistic dissertation at the Sibelius Academy Folk Department and used elements of music, dance, theatre, improvisation, composition, photography and mask work in the process. 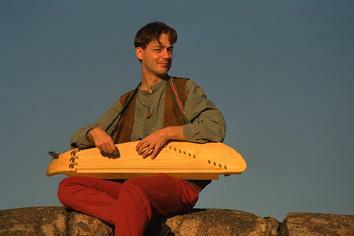 He completed his dissertation "Faces - visions of kantele", in 2008. Timo currently enjoys a five-year grant from the Finnish Arts Council. Timo is also a leader of a two-year kantele research project that studies the kantele-related instruments in Finland, Estonia, Latvia, Lithuania, Russia, Poland, Ukraine and Belarus. He also produced a 17-part radio series together with Leena Häkkinen for YLE Radio 1 Kansanmusiikinilta. This series featured 16 different ethnic groups that play kantele-like instruments in Northeast Europe and West Siberia. The Kanteleen Kielin project started in 2010 and is lasting now 4 years and two months. The project team has published the first part of the book series that will eventually comprise 4 books. Timo Väänänen was the head editor, writer, layout designer and photographer of the first book of the Kanteleen Kielin project. A music album has also been published and exhibitions and artistic projects have been organized. The aim is to describe people who play kantele-like instruments in the present day and provide a wide background of their culture, history and language.